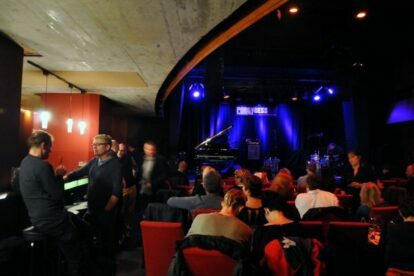 If your heart beats jazzy, then this beautiful venue in downtown Vienna, should be the perfect spot for you. The house itself is old and traditional and in the 20’s and 30’s of the last century it used to be kind of a theatre called “Kunstspiele”. Around 20 years ago the “plush and velvet” cabaret turned into a jazz club. And what a special one. From Elliott Sharp to The Master Drummers of Burundi or Joe Bowie’s Defunkt, the list of famous people playing here is long. And there are also great Viennese musicians I like a lot, and who are conquering the stage like Willi Landl. And I also really love the famous annual Bluebird Festival taking place around November. Days and hours of music from unconventional, ‘independent’ bands. So whatever your musical taste is, here you have a place for music lovers.